Very few Japanese cars of the Sixties had style. Instead they tended to wear the carryover, upright shapes first adopted when the manufacturers copied English cars of the Fifties. In fact, it’s hard to think of more than handful of Japanese cars of the Sixties that weren’t simply boring to look at. In sports cars there was the stunning Toyota 2000GT – and at the other end of the pricing spectrum, the Honda S600. In between was the Datsun 2000. In sedan-based cars there was the Isuzu Bellet GT – and well, nothing else, was there? Yes there was – the Mitsubishi Colt Fastback. And not only was it revolutionary in appearance (especially in the context of the terribly staid looking Colt sedan), it later became amongst the world’s very first modern era hatchbacks. The Colt Fastback was first released with an 800cc motor; this made way for the 1 litre 1000F and then the 1.1 litre 1100F. Best of the lot was the 1100 Super Sports, with 73hp (26 per cent more power than the standard Fastback) and featuring a high lift cam, twin SU carbies and a big exhaust. When Mitsubishi released the Colt 800 Fastback, the company aimed the car at young and sporty buyers. A contemporary Japanese language pamphlet shows a couple striding away from an aircraft towards a Colt Fastback, the man casually carrying his jacket and chatting to the laughing woman. Another pic shows the driver’s seat, complete with driving gloves – then all the rage for sports car owners. 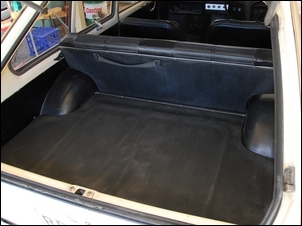 But perhaps best of all is the pic of the rear shelf of the car, complete with the absolute latest in 1960s Japanese technology – a portable TV. Next to the TV is a bottle of Coke containing a suggestive two straws! By the time the 1000F was released, the pamphlets were in English – although still with Japanese models. But the theme remained the same – young things having wonderful fun in the sun. “Why not get away from it all?” asks the copy. “It’s easy with the Colt 1000 Fastback. The four cylinder engine puts out a full 55HP at 6,000 rpm, and does so with smooth power plus modest fuel consumption. 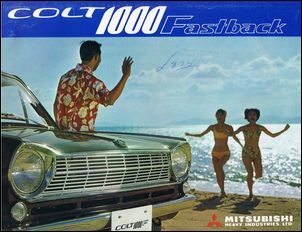 Lest you stifle a giggle at the top speed, you need to remember that at this time, the maximum recommended cruising speeds of cars were often quite near their top speed – Mitsubishi wouldn’t have had any problems with the car sitting on 110 km/h. In fact, the engine was “designed to endure sustained high speed cruising and retain a youthful performance for years to come”. “You can feel the difference the moment you step in the new Colt 1000 Fastback. Settle back in the plush seat, relax and prepare for pleasure. The engine is quiet and smooth. Don’t worry that you can’t hear it. And it wasn’t only the shape of the car that reflected an innovative approach. The Colt was one of only a tiny number of post WWII cars that we know of that used three leaf springs. 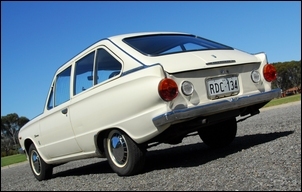 The rears were longitudinal and supported a traditional solid axle, but the front suspension used an independent wishbone system with a single, transverse leaf! 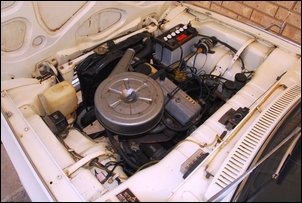 The 977cc KE43 engine featured an alloy head with wedge-shaped combustion chambers. Valve actuation was by push-rods - although Mitsubishi said the cam was “high-mounted”, it would be a few years before a Japanese engine used an overhead cam... cue the Datsun 1600. 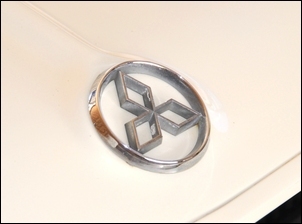 Peak power was at 6,000 rpm – high revs for a 1960s engine of this type. Peak torque also reflected tuning for top-end power – it was developed at 3800 rpm. 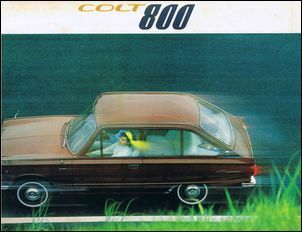 The Colt 1000F made its way to Australia, one of the few markets outside of Japan in which the car was sold. Local dealers tended to be small specialists, but they advertised heavily. Esquire Motors, another small dealer, ran an ad that said: “The sports minded man has this responsive dash and the businessman has a roomy fastback” – which must be amongst the worse-composed ad copy we’re ever seen! Merlynston Motors, of Sydney Road, Coburg (Victoria), played on a pun: “Join the stampede”, they wrote. 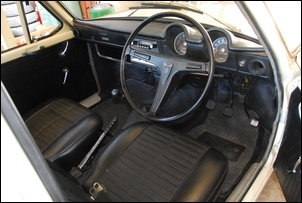 They also said that the fastback styling “swings”, a reference that now appears incomprehensible but was written in the context of the “swinging Sixties”. And how did the specialist motoring media find the car? Most commented on the smart way that Mitsubishi had chosen to release the car here. Prior to going on sale, the company had sent two prototypes to Australia for heavy duty testing. Those drivers had compiled a list of forty improvements they thought should be made - and Mitsubishi had acted on nearly all of them. But the most interesting aspect of those early tests was the scarcely concealed repugnance for the shape of the car! Yes, what from today looks like the car’s most innovative aspect was actually denigrated by contemporary writers. Wheels magazine was even stronger. They wanted to term such body designs ‘slowbacks’ and intended to apply the term to “every small car using this bastardised, neo-GT, pseudo-two-plus-two look that does little but cut down headroom and rear vision and doesn’t really help reduce the drag factor at all”. Furthermore, “we can’t find any redeeming features about the Colt’s styling...” followed by (an again grudging!) “except that it has exceptionally big glass areas and the grille and headlight treatment is very pretty indeed”. But only two years later, the tone of magazine reviews had utterly changed. “Unsung Hero” headlined the Motor Manual test in December 1969 of the 1100 SS Fastback. 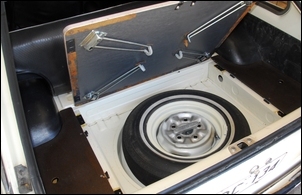 The car now featured a full lifting rear hatch, but it wasn’t that alone that was responsible for the change in perspective. And it wasn’t even the more powerful engine. Or the front disc brakes. Nope, it was the Colt’s stunning rallying success. 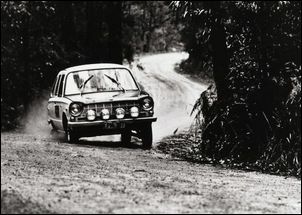 Driven by Colin Bond and navigated by Brian Hope, not only did the Colt dominate its class in Australian rallying, it also came as high as 3rd outright in major rallies like the 1968 Southern Cross. In the 1969 Rothmans BP and Southern Cross rallies, it beat home cars like the Ford GT, Lotus Cortina, Porsche, Cooper S and Repco Volvo. That success changed the way enthusiasts viewed the Colt – now there was little talk about its styling and a lot more talk about its handling and sweet engine! Having damned the car, the enthusiast magazines now wondered why it hadn’t sold better. 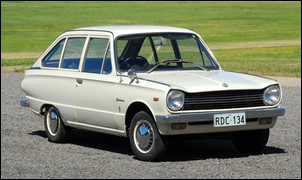 Motor Manual magazine pointed out that in 1968 Mitsubishi had sold in Australia 1374 cars (presumably all Colts), compared with the sale of 7172 Toyota Corollas and 5118 Datsun 1000s. 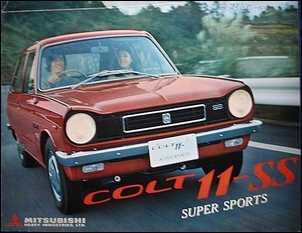 But despite the upgrade engine, the Colt SS wasn’t a powerhouse – even in contemporary terms. Sixty miles an hour came up in 12.7 seconds, and the quarter mile took 19.2. Top speed was 91 mph. 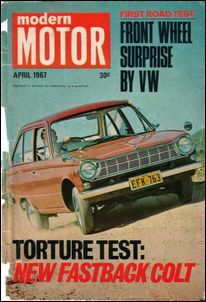 “We found the Colt to be tremendous fun over steep, winding roads where full use could be made of the potential of its engine, roadholding and brakes without giving rise to any concern on the part of the drivers and passengers,” the magazine concluded. So what is a Colt Fastback like today? 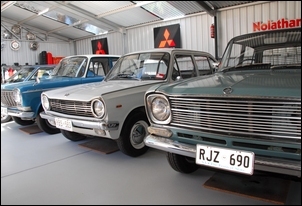 Adelaide’s Craig Fordham is a collector of Mitsubishi Colts. In addition to two Fastbacks, he also has a couple of sedans. All are in road-going condition although none have been fully restored. 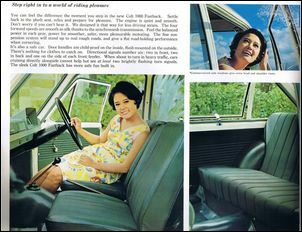 We were able to examine and drive a 1969 three-door 1100F. Walking around the car, one is struck by its extraordinary styling. In the metal, the car looks better than in the pics - and we think it looks pretty good in the pics! The rear roofline styling has touches of Fiat in it; the tail-lights a whiff of Ford. 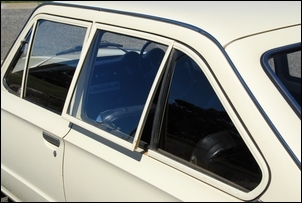 But the side glass area is pure Colt – we’ve never seen another car that has (from front to back), a wind-down window, a window that pivots open hopper-style from a horizontal roof hinge, and then a fixed window. ...but inside the cabin, the controls and instruments are neat and clear. 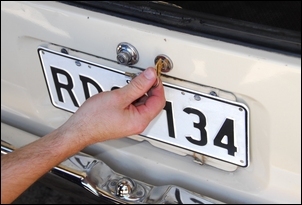 Lacking in this car is a factory tacho – something the engine cries out for. Lift the mat and you’ll find under it a removable picnic table, complete with fold-down legs. (Honda CRV, eat your heart out!) It’s all practical, accessible design – and fits beautifully with the ‘bright young things’ the contemporary advertising was directed at. 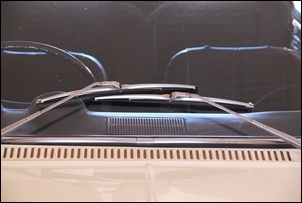 ..and the wipers are of the ‘clap hand’ design. And what is the Colt like on the road? The driver’s seat has a fixed, very reclined backrest – if you adjust the seat for enough legroom, you’re forced straight into a long-armed driving style. The pedals are offset to the left, the instruments are clear and the visibility – well, the visibility is just fantastic. With the thin pillars, low waistline and immense areas of glass, there are no blind-spots. The Colt is a small car but it feels light, airy and spacious – far more pleasant than any small car of today. Pull-on a little choke and the engine starts. The gearbox is light and precise, and the clutch in this example takes-up a long way from the floor. The steering is light and reasonably direct (the latter not normally associated with recirculating ball designs) and the car feels nimble and responsive. But without a tacho (and without having memorised the gear up-change speeds) it’s hard to get a feel for the available performance. With three blokes in the car, it probably wouldn’t be much anyway. But the brakes... oh the brakes. Perhaps the shoe material is wrong on this car but with the brakes the ‘light and responsive’ feel of the rest of the car is utterly gone: braking is like standing on a brick... and not only is the feel bad, so is retardation. The ride is excellent: even on bumpy bitumen you can get a feel for how the car would have been on dirt – long travel, relatively soft suspension and seats with perfectly matched springing. In automotive history, the Colt is a forgotten car. 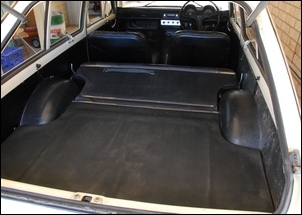 But not only was it amongst the world’s first modern era hatchbacks, it also showed innovative body styling, a very unusual suspension and sporting success. We can only imagine that these cars will become increasingly collectable – and for good reasons. Thanks to Craig Fordham for his major help in the preparation of this article. Go to Craig’s site at www.oldcolts.com.au to see a lot more about 1960s Colts.